The Scottish Crofting Federation has written to the cabinet secretary for crofting, Fergus Ewing MSP, expressing deep concern that crofters’ democratic rights are being flouted by a constable appointed, perhaps illegally, by the Crofting Commission. The majority of shareholders of the Upper Coll grazings have voted, yet this constable, whose legality of appointment is refuted by lawyers, is completely ignoring them. 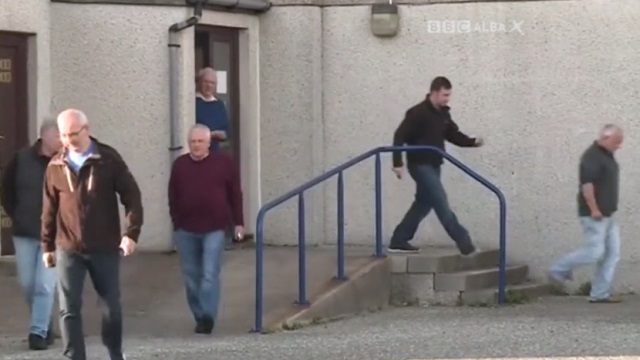 The shareholders have demanded that the constable, Colin Souter, who was appointed by the Crofting Commission, stands down so that they can reinstate a democratically elected grazings committee. Why is he still there? Democracy is the very foundation of grazings committees. A lack of democratic procedure by the removed Upper Coll committee is something that the constable has been trying, unsuccessfully, to find evidence of. The shareholders have the legal right to elect their own committee and Souter is standing in their way. He must stand aside or be removed. 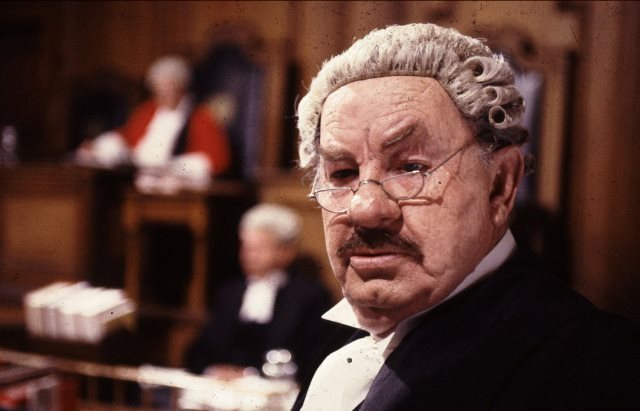 Judging by the press releases Souter issues, he clearly has misunderstood the role of a grazings clerk, or that of an appointed constable fulfilling the duties of clerk – were his appointment legal. He seems to be either completely out of control, or under the control of the Crofting Commission, an organisation that has lost all credibility. In addition Souter and his masters are attempting to undermine the viability of crofters’ collaborative enterprises by questioning their entitlement to SRDP and registration for VAT. Are they trying to bring to an end 130 years of crofting? The only recourse is for the Scottish Government to take control of the situation and to remove him. This incredible situation is extremely harmful, not only to the crofting community of Upper Coll, but to crofting itself. 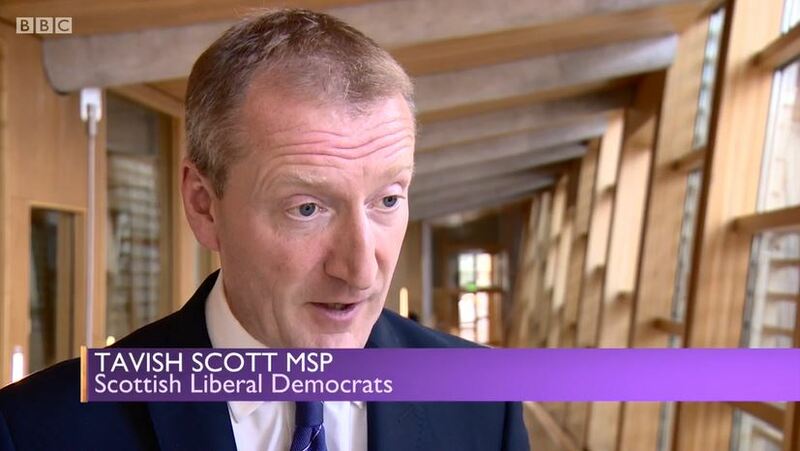 We can understand that the Scottish Government is reluctant to interfere with a democratically elected Commission, but this constable is not democratically elected, claims to be independent of the Crofting Commission who appointed him, and is flouting democracy. There is nothing to stop the Scottish Government from doing the right thing, and it must do it now. This entry was posted in Common Grazings, Crofting Commission and tagged Cabinet Secretary for the Rural Economy and Connectivity, Chair of Scottish Crofting Federation, Colin Souter, Common Grazings Committee, common grazings shareholders, crofting, Crofting Commission, Fergus Ewing, Fergus Ewing MSP, Fiona Mandeville, Grazings Clerk, Grazings Committee, Grazings Constable, illegal grazings constable, Scottish Crofting Federation, Scottish Government, shareholders in the common grazings, SRDP, SRDP funding, Upper Coll, Upper Coll Common Grazings, VAT, VAT registered on September 21, 2016 by Brian Inkster. Like the T-1000 in the Terminator series Colin Souter keeps coming back for more. I previously blogged about the exchange of views between myself and Mr Souter published at Scottish Legal News. Whilst the original topic had been Crofting VATgate, Mr Souter had turned this into an attack against me providing legal advice to Upper Coll Common Grazings (before the former committee were removed from office by the Crofting Commission). I responded to those attacks although I had already done so elsewhere with my previous comments simply being ignored by Mr Souter as though they were never written. Once more that is the approach adopted by Mr Souter in his latest (and last) letter published by Scottish Legal News yesterday. “Last letter” in that Scottish Legal News have not surprisingly now closed debate between me and Mr Souter through their pages. 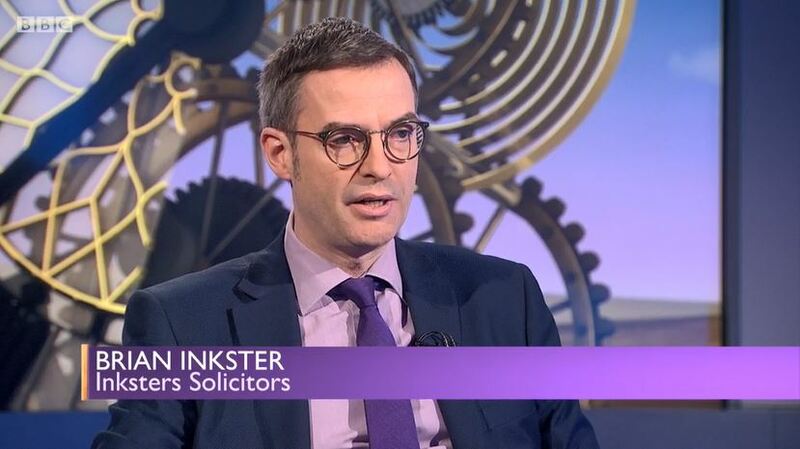 I note Mr Inkster has shared another article published on Scottish Legal News. I have no intention of inflicting this debate upon your readers as a series of articles but will merely address what I believe to be THE crucial point, missed from all of his recent writings. The Common Grazings is about ALL the shareholders and NOT the Committee. When a Committee takes it upon itself to make decisions, other than those relating to the maintenance of the Common Grazings, without reference to shareholders, it loses its mandate…..and its credibility. I have never disputed the rights of any individual to seek professional legal advice, nor would I do so. The point which I hope will not escape readers attention is that the Committee, in accessing and spending money which belongs to ALL shareholders, has exceeded their authority, if it does not first seek shareholder approval for that spend. And that is the case, as shown in the Minute Book. I imagine that the former committee would normally have had meetings with much more than 4 shareholders in attendance (that being the number of shareholders out of a total of 42 that Mr Souter proceeded to conduct business with on Tuesday night). Mr Souter has taken many decisions on his own account without any recourse to shareholders: obtaining the Opinion of a QC on VAT matters via the Crofting Commission; writing to HMRC querying the right of common grazings (anywhere it would seem and not just Upper Coll) to be VAT registered; writing to numerous parties including myself concerning various spurious matters with insinuations and threats; meeting with Western Isles Council over matters decided by shareholders 8 years or more ago; seeking to involve the Crown Office & Procurator Fiscal Service in undisclosed matters. In all the accusations about shareholders not being consulted over matters has Mr Souter ever thought to actually ask shareholders whether or not they approved decisions previously made? If any didn’t (I doubt if there would be many decisions, if any, that would fall into that category) then that would be a matter for any such aggrieved individual shareholder to pursue (if excluded illegally from a decision making process that should have legally included them). This is not something that Mr Souter can pursue in any way on their behalf. He is deluded in the extreme if he thinks he has such power even were his appointment a legal one. As a continuing course of conduct, failing to consult and seek approval from the wider body of shareholders serves only to undermine the relationship between the Committee and the shareholders. The resulting friction and rift that has opened up over time, can be traced back to an evident lack of willingness on the part of the Committee to consult, seek and record shareholders views to support Committee activity. My conclusion follows a simple analysis of the records of the Grazings, including the Minutes of meetings of both the Committee and of ordinary shareholders. Doubtless, Mr Inkster will challenge the validity of my conclusions. I can only say, on a factual point, that I am better positioned to comment by virtue of possessing the historical Minute Book, which is the place where you would reasonably expect such detail to be entered. Even disregarding the official Minute Book (and why would you? ), there is the evidence offered by shareholders themselves at more recent shareholder meetings, confirming my own conclusion. Again Mr Souter’s conclusions “follows a simple analysis of records” and not what the shareholders say the position actually was. His reference to “the evidence offered by shareholders themselves at more recent shareholder meetings, confirming” his “own conclusion” can immediately be dismissed on the basis that this is what 4 out of 42 shareholders may have told him. I understand that those 4 shareholders did not often attend shareholders meetings although it was of course open to them to do so. The irony is that Mr Souter keeps saying that all shareholders should be consulted yet he is holding meetings with just 4 shareholders and making decisions that affect all shareholders (sometimes without any meetings at all) when he knows that at least 26 out of 42 shareholders (i.e. a clear majority) do not support him or his actions. All parties involved have a duty to act responsibly and engage positively to help move towards a point of resolution. The most recent meeting of shareholders on 13 September saw fit to vote and unanimously support my activity in office to date, and a series of continuing actions outlined by me, to the meeting, as just one of a number of votes that took place. Many present stated this was the first opportunity they had had in recent years to vote on matters and hoped it was a sign of things to come. Shareholders also voted on a new set of Grazings Regulations, consulted upon over the last three months and once endorsed by the Crofting Commission will, I believe, go some way to improving the framework under which the grazings operates. The “many present” is possibly a maximum of 4. Their “first opportunity” may possibly be because it is the first time they have chosen to attend a shareholders meeting. Mr Souter was critical of me before for not divulging numbers of attendees at a meting called by shareholders when I didn’t actually know the numbers. In that case he claimed “9 out of 42 shareholders was never a majority“. He knows the numbers in this instance and so perhaps it is he who is now painting “a rather disingenuous picture“? Especially when 4 out of 42 is certainly nowhere near a majority. But 26 out of 42 is. Mr Souter was also of the view that those who didn’t attend meetings called by the shareholders were “voting with their feet“. On 13 September there were 11 shareholders who actually walked out on his meeting. That is voting with your feet if ever you saw it. If you follow Mr Souter’s view on shareholders meetings and actual support then 38 out of 42 shareholders voted with their feet on 13 September against Mr Souter. He must therefore accept, by his own reasoning, that he has no mandate at Upper Coll. It is a matter for regret that Mr Inkster has failed to correspond with me, to answer my query and to confirm the existence (and provide a copy) of his letter of engagement, for review by Upper Coll shareholders. His claim that I am “illegally appointed” has been rejected by the Crofting Commission in their letter to shareholders of 8 September. It is simply his opinion on the matter but I nevertheless defend his right to hold that opinion. Mr Souter yet again completely ignores the fact that I have in fact responded to his letters by way of a seven page letter copied to him but directed to his ultimate employer, the Scottish Government. After all Mr Souter does declare on his LinkedIn page that he is “engaged to support Scottish Government NDPB Crofting Commission, in investigative and reporting activity“. If I take issue with his behaviour in correspondence issued by him to me, as I do, then I am well within my rights to take that behaviour up with his employers, as I have done. That is certainly not a failure to correspond. I clearly cannot provide someone who has not instructed me with information provided to someone who did! The Law Society of Scotland would have something to say about any solicitor being persuaded to unethically do so. My opinion that Mr Souter has been illegally appointed is shared by others and indeed rather ironically reflects the policy adopted by the Crofting Commission but mysteriously departed from by them, contrary to legal advice presumably received by them, on at least three occasions. Any challenge on the question of the legality of the appointment of grazings ‘constables’ to the Crofting Commission has been met by a simple assertion that as it was a “final decision” of the Commission it is one that cannot be revisited by them. Even although they are unable to show where in law it is stated that they cannot revisit decisions and this is something they have been seen to do on other occasions! Thus, in effect, the Commission are saying that they may well have made an illegal decision but they have no power to reverse or change such an illegal decision! Should he wish to press the matter further, then he is clearly aware of the legal process to follow. Indeed I am, which is more than the Crofting Commission appear to be aware of. The continual misrepresentation of the situation in the press by disaffected former Committee members and the media profile enjoyed along with their followers, is a matter of ongoing disappointment. For my own part, I will continue to invite all shareholders to participate at official meetings and contribute positively to the future of their Common Grazings. From the other side of the fence the misrepresentation is clearly on the part of Mr Souter and the Crofting Commission. A reading of this latest letter from Mr Souter alone taken together with my responses thereto is evidence enough of that. Given the nature of the ongoing dispute, this article does not reflect the views of all Upper Coll shareholders. Indeed. It may possibly reflect the views of 4 out of 42 of them. Image Credit: T-1000 in Terminator: Judgment Day © Carolco Pictures; Pacific Western Productions; Lightstorm Entertainment; Le Studio Canal+ S.A. This entry was posted in Common Grazings, Crofting Commission and tagged Colin Souter, Common Grazings Committee, common grazings shareholders, Crofting Commission, crofting lawyers, Crofting VATgate, Crown Office & Procurator Fiscal Service, final decision, Grazings Committee, HMRC, illegal grazings constable, Law Society of Scotland, QC, Queen's Counsel, Scottish Government, Scottish Legal News, shareholders in the common grazings, T-100, Terminator, Upper Coll, Upper Coll Common Grazings, Upper Coll Common Grazings Committee, VAT, VAT registered, Western Isles Council on September 17, 2016 by Brian Inkster. 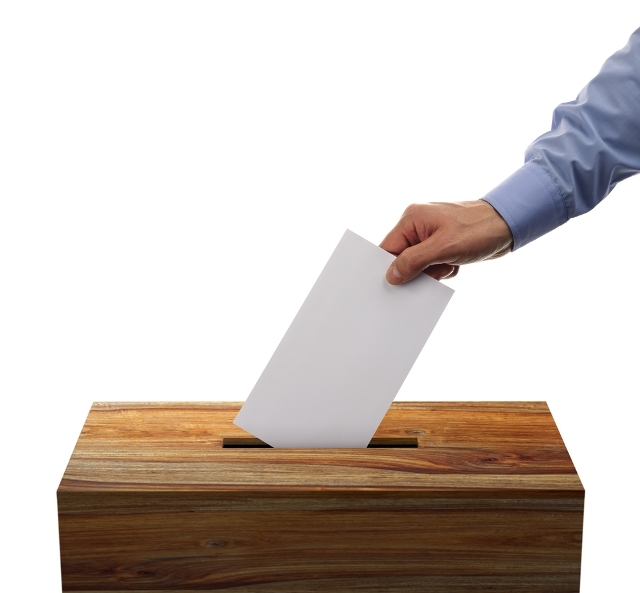 shareholders were duly elected: Kenneth Macdonald, David Maclean, John Stewart and Scott Macrury. Shareholders also agreed that another member could be co-opted at a later date. I support the election of a new Grazings Committee to run the affairs of Upper Coll Township. I also request the removal of the illegally imposed Grazings Constable with immediate effect. The Factor of the Stornoway Trust was also in attendance and spoke to shareholders about certain public statements made by the ‘constable’. He felt that some of these needed correction. He duly did this. The Crofting Commission were to be informed of these democratic decisions. It is to be hoped that the Crofting Commission accept these democratic decisions and ensure, in light thereof, that the Grazings ‘Constable’ (illegally appointed in my opinion and in the opinion of others including, rather ironically, the Crofting Commission itself) steps aside, hands over all documentation pertaining to the common grazings and returns control of the bank account to the new committee. If they do not then the Scottish Government should step in once more and ensure that they do. This entry was posted in Common Grazings, Crofting Commission and tagged Common Grazings Committee, common grazings shareholders, Crofting Commission, David Maclean, Factor, Factor of the Stornoway Trust, Grazings Committee, Grazings Constable, illegal grazings constable, Isle of Lewis, John Stewart, Kenneth Macdonald, Lewis, petition, Scott Macrury, Scottish Government, shareholders in the common grazings, The Stornoway Trust, Upper Coll, Upper Coll Common Grazings, Upper Coll Common Grazings Committee on September 10, 2016 by Brian Inkster. Who is the VAT Inspector? Why and how on earth was Colin Souter in receipt of legal opinion from Queen’s Counsel on the question of whether common grazings committees could be VAT registered? I should also point out that I have never sought legal advice from Queen’s Counsel in any context, since being appointed as Grazings Constable. Perhaps you can enlighten us as to how you came to be in “receipt of legal opinion from Queen’s Counsel” as stated in your letter to the Upper Coll shareholders? Mr Souter has yet to answer my question. So who instructed this legal opinion, who paid for it and why? How did Colin Souter come to be in possession of it and why? 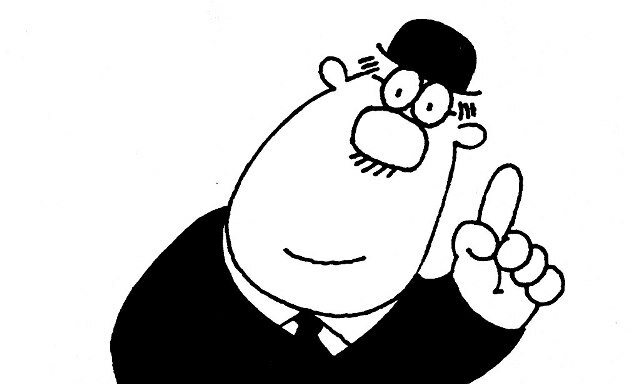 In his dialogue with HMRC is Colin Souter trying to stop VAT registration at Upper Coll Common Grazings and if so why? It can only be assumed that the attempt to stop VAT registration of common grazings probably lies at the door of the Crofting Commission. Would this not be how a grazings ‘constable’ appointed by them would be in possession of such information? We are already aware that the Convener of the Crofting Commission, Colin Kennedy, was of the view that common grazings should not receive SRDP funding. This very alarming notion (an issue that did not concern the crofting regulator and/or its convener in any way) was firmly quashed by Fergus Ewing MSP. It is therefore not a giant leap to think that the Crofting Commission and/or their Convener might be behind this attempt to stop common grazings being VAT registered. If that should prove to be the case it is scandalous. Questions regarding whether crofters should be VAT registered or not have absolutely nothing to do with the Crofting Commission. It is a matter between crofters and HMRC. Public money should not have been spent on the opinion of Queen’s Counsel on such matters. If that has happened Audit Scotland should be investigating the issue. Another one for them to add to the growing list for their next visit to Great Glen House. But more significantly why is the Crofting Commission and/or their Convener intent on depriving crofters of income? First it was SRDP funding. Now it appears to be VAT. regulates and promotes the interests of crofting in Scotland to secure the future of crofting. The Crofting Commission is working to secure the future of crofting by creating and promoting a well regulated crofting system that positively contributes to the sustainability of rural communities. By seeking to deprive crofters of SRDP funding and now, possibly, VAT the Crofting Commission cannot be said to be promoting the interests of crofting, securing the future of crofting or positively contributing to the sustainability of rural communities. Quite the contrary. If Commissioners are acting in such a way, completely contrary to the functions that the Crofting Commission was established to carry out, then those commissioners responsible have no place in that organisation. They should be ashamed of themselves. 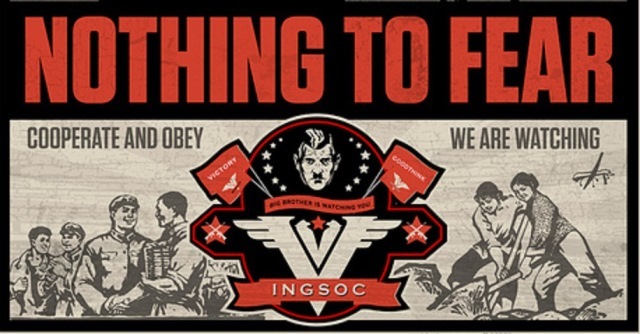 They are clearly “unable or unfit to exercise the functions of a member” or “unsuitable to continue as a member”. As such the Scottish Ministers may remove them from office under and in terms of the Crofters (Scotland) Act 1993. There have been repeated calls over recent months for such action to be taken but if ‘Crofting VATgate’ does fall at the door of the Convener and/or any other Commissioners then this surely is the final straw that broke the camel’s back. 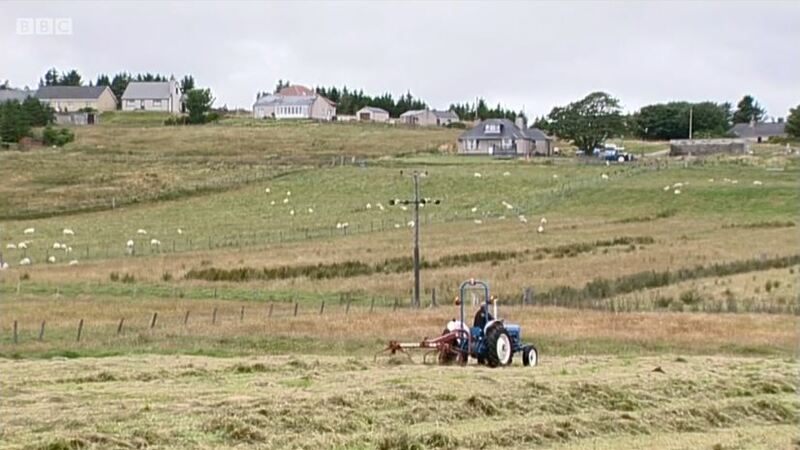 Fergus Ewing MSP, as Cabinet Secretary for the Rural Economy and Connectivity with responsibility for Crofting, should immediately launch an investigation to get to the root of ‘Crofting VATgate’, publicise his findings for the benefit of crofters and take appropriate and decisive action against those responsible. This entry was posted in Common Grazings, Crofting Commission and tagged Audit Scotland, Cabinet Secretary for the Rural Economy and Connectivity, Colin Kennedy, Colin Souter, Common Grazings, Common Grazings Committee, common grazings shareholders, Convener of Crofting Commission, Crofters (Scotland) Act 1993, crofting, Crofting Commission, Crofting Commissioners, Crofting VATgate, Fergus Ewing, Fergus Ewing MSP, Grazings Constable, Great Glen House, HMRC, illegal grazings constable, promoting the interests of crofting, QC, Queen's Counsel, rural communities, Scottish Ministers, secure the future of crofting, shareholders in the common grazings, SRDP, SRDP funding, Upper Coll, Upper Coll Common Grazings, Upper Coll Common Grazings Committee, VAT, VAT registered, VATgate on September 4, 2016 by Brian Inkster. Was the wrong list entered into the constable’s little black book? With all the fuss over the apparent failings of successive grazings committees over the years at Upper Coll attention has been drawn away from what Colin Souter should actually have been doing himself assuming that his role as grazings constable was a legal as opposed to an illegal one. The appointment is for 6 months from the date of the Order. 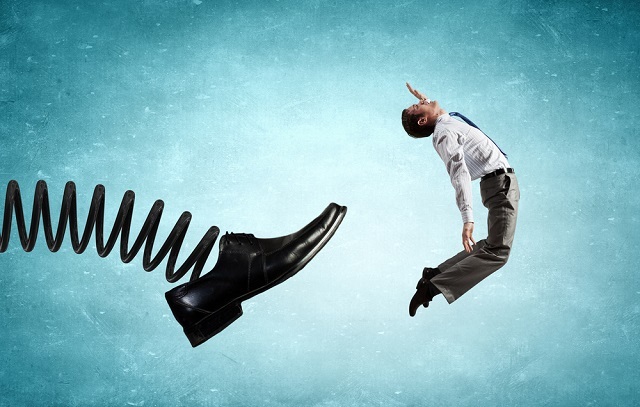 However the intention is that this should be a short term measure and once any outstanding actions are discharged, that you arrange a meeting of shareholders at which you will resign and a new committee will be elected by the shareholders to manage the grazings in accordance with the Regulations and the Act. Your principal responsibility as Constable will be to discharge any outstanding actions required to ensure the duties imposed under the Crofting Acts and the grazings regulations are fulfilled. This in effect was referencing the fact that following their removal from office the former committee highlighted to the Crofting Commission a list of matters that needed attending to. Whilst the Crofting Commission erred in law (surprisingly knowingly) in appointing a grazings constable to attend to these matters it may be that their intentions in so doing were in good faith and to ensure that the list of matters highlighted to them were in fact attended to. Anyway, that appears to be the remit given to Colin Souter. This constable has interfered in things he should not have and left undone the things he should have. But what has he not done? Has he processed the IACS for the village? Has he submitted an application for the Agri-Environment Scheme that could have taken in some funding to the village? Has he worked out a Summer and Winter Grazings Timetable? Has he progressed the Croft Registration for 30 shareholders that had been well advanced before the committee were dismissed? Has he progressed the feu requests from couples desiring to build and live in Upper Coll? Why has he not been actively pursuing the Crofting Commission for the reimbursement by them of the money paid out by Upper Coll in feu dispositions. An instruction by the Crofting Commission to Upper Coll Grazings Committee that has since been proved illegal! What efforts has he made to heal the tensions and differences experienced within the village? Surely that should have been one of his first tasks! If these matters have not been actioned then it would appear that Mr Souter has failed in the remit given to him by the Crofting Commission. If that is the case then clearly the time has come for him to step aside and let those that know what need to be done do the necessary on behalf of and for the benefit of the shareholders. If he has in fact dealt with these matters then he should be reporting that fact to the shareholders and resigning as constable as the Crofting Commission indicated should happen in their letter of ‘appointment’. As indicated in my last blog post such a ‘resignation’ is what the similarly illegally appointed grazings constable at Mangersta Common Grazings saw fit to sensibly do. Although arguably Colin Souter cannot resign from an illegal position that gives him no status or authority in the first place. But the ‘resignation’ (as was the case in Mangersta) may have symbolic significance. As suggested in my last blog post it may at least draw a line under his interference in the workings of a common grazings where the vast majority of the shareholders simply wish to get on by themselves with controlling their own destiny and their own finances. Let’s hope that common sense prevails. Although, unfortunately, common sense does not often feature in this Common Grazings debacle. This entry was posted in Common Grazings, Crofting Commission and tagged Colin Souter, Common Grazings Regulations, common grazings shareholders, Crofting Commission, Grazings Constable, illegal grazings constable, Mangersta, Mangersta Common Grazings, Mangersta Common Grazings Committee, shareholders in the common grazings, Upper Coll, Upper Coll Common Grazings, Upper Coll Common Grazings Committee on September 4, 2016 by Brian Inkster. 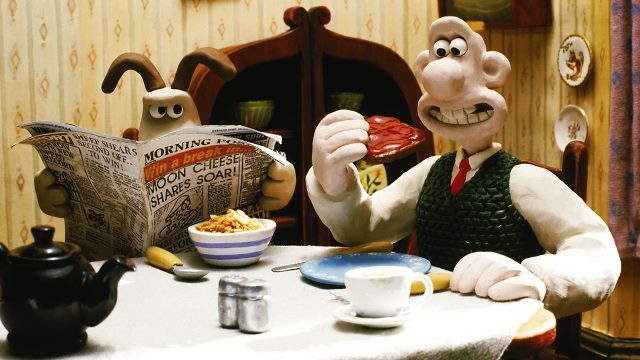 Eh by gum, Gromit, no one told me that they appointed a new grazings committee every three years! Pass the cheese please. New evidence has been revealed that appears to justify the Crofting Commission’s unpopular intervention in the financial affairs of a common grazings committee. This ‘evidence’ was presented in a letter to shareholders in the Upper Coll Common Grazings by the grazings ‘constable’ Colin Souter. A grazings ‘constable’ illegally appointed in my view, and in the view of others including, ironically, the Crofting Commission themselves. Many of the allegations made by Mr Souter actually, it transpires, relate to decisions made by shareholders when previous grazings committees were in power. Not the latest one which the Crofting Commission summarily removed from office for producing five years of financial statements prepared by an accountant rather than five years of “audited” accounts as demanded unfairly by the Commission. Actions by past grazings committees cannot be used as evidence to justify the removal from office of a grazings committee that had no part in those actions. Indeed it would appear that Mr Souter has been spending his time (and presumably as a result the shareholders money) trawling through the history of Upper Coll Common Grazings attempting to find fault wherever he can. His efforts in this regard go way back before the five year ‘audit’ period sought by the Crofting Commission. Indeed the two main issues highlighted in the report by The Scottish Farmer date back to 2008/09. There have been three new grazings committees at Upper Coll since then! Top of his list was an application lodged with Comhairle Nan Eilean Siar seeking a grant under their Unadopted Road Upgrade Scheme, seeking £10,000 of matched funding to be spent on upgrading the landlord’s Ghearraidh Ghuirm private road. In doing so, the former committee undertook to spend £20,000, including the CNES grant, of shareholders’ money on upgrading this section of road and also accepted the subsequent road maintenance obligation, in perpetuity – a decision of clear benefit to prospective few [sic – should have been “feu”] buyers, but with no apparent link to the maintenance or improvement of the common grazing. “Thus, the spending of shareholders’ money in this way, was outwith the power of the committee at that time, meaning they acted outside of the law and the legal protection normally afforded,” noted Mr Souter. He accuses the then Grazings Committee of match funding the improvements to the Gearraidh Ghuirm Road behind Donald Campbell’s Garage. This is grossly untrue. The village did not put any money into this. The Councillors then in office helped facilitate the financial match funding from sources including contributions from residents. The village used some of this money to repair the road going out to the quarry, which in fact was an aid to the shareholders using the quarry and the peat-road! This was in 2008!! also found that the former committee had, in 2008/09 sought to earmark areas of common grazings land to be sold off as housing plots, and paid for the feu design work out of shareholders’ grazing funds, again acting outside of the law. I asked shareholders at Upper Coll about this and was told that it was to allow crofting families in the township to remain in the township by allocating to them house sites on land that was not much use for grazing purposes. Any costs associated with that would be more than recouped when house sites were sold and compensation on resumption received. Indeed consent to the sale of one such house site was raised as an agenda item at the meeting in November 2015 attended by the Crofting Commission, including Convener Colin Kennedy. This was approved at that meeting by the shareholders present. Of course the resumption application would be advertised in due course giving all and every shareholder the right to object should they wish to do so. The house site under debate in November 2015 was, rather ironically, allocated to a relation of Ivor Matheson who brought the original complaint against the grazings committee and was so vocal in this week’s Scottish Farmer in support of the actions of Colin Souter which suggest this enterprising initiative on the part of the 2008/09 grazings committee to have been unlawful! Ultimately shareholder funds are there to be utilised as shareholders want them to be. If all shareholders are happy to divert funds into a scheme on the common grazings that will result in benefit to members of the shareholders families, strengthen the crofting community and ultimately give a financial return what is wrong with that? I do not believe that even Ivor Matheson would be looking for repayment of his share of the £520 (i.e. £12.38) spent on the feu design work given the benefit that small payment has had to his family. It is clear that Mr Souter is making assumptions left, right and centre without appraising himself of the true facts. He is meddling in matters that are of no concern of his. He appears to have a goal, possibly at the behest of the master(s) who appointed him, to find fault with the former committee to justify his existence. He forgets he was illegally appointed and, like the Crofting Commission, has not been able to justify with reference to statute or case law the validity of his appointment. He forgets that grazings committees are appointed every three years and he cannot point the finger of blame at the last committee for the actions of their predecessors. Ultimately, however, Mr Souter has produced a list of petty ‘faults’ most of which can be dismissed out of hand. He has certainly failed to produce the ‘gamechanger‘ that his master(s) may have wished him to find but that he had no remit to ever look for in the first place. It should also be borne in mind that the initial action by the Crofting Commission against the former grazings committee at Upper Coll that ultimately resulted in the ‘appointment’ of Mr Souter centred around their misinterpretation of the law. A misinterpretation that the Commission have been reprimanded for by Fergus Ewing MSP and apparently has been accepted as such by them. It has become a farce (although arguably has been for some time). Mr Souter and his master(s) look more ridiculous by the day over their handling of this whole sorry affair. In the process it is not reflecting well on the Scottish Government who have overarching responsibility for crofting. So the Crofting Commission saw the ‘appointment’ as short term and possibly expected it to have come to an end by now. Mr Souter’s duty was “to discharge any outstanding actions“. It is unclear whether he has in fact even applied himself to such a task and I will look at that in a further blog post. He appears, on the face of it, to have concentrated on a forensic examination of the history of Upper Coll Common Grazings. Something that he had no remit to do even if he had been legally appointed as a grazings constable. The majority of shareholders at Upper Coll who attended a meeting convened for that purpose (there being no dissenters) have made it clear that they want nothing more to do with Mr Souter. They want to form a new grazings committee. Mr Souter should respect the wishes of the shareholders who he supposedly represents. He should now do the honourable thing and ‘resign’ from his role as grazings ‘constable’ without further delay. He does not actually need to arrange a meeting of shareholders to do so, he can simply send them a letter or advise the Crofting Commission of his decision to do so and let them advise the shareholders accordingly. This is what the similarly illegally appointed grazings constable at Mangersta Common Grazings saw fit to sensibly do. But the ‘resignation’ (as was the case in Mangersta) may have symbolic significance. It may at least draw a line under his interference in the workings of a common grazings where the vast majority of the shareholders simply wish to get on by themselves with controlling their own destiny and their own finances. They want to do so for the benefit of a community that Mr Souter and his master(s) appear intent on destroying. This entry was posted in Uncategorized and tagged audit, audited, audited accounts, Colin Kennedy, Colin Souter, Comhairle nan Eilean Siar, Common Grazings Committee, Common Grazings Regulations, common grazings shareholders, Convener of Crofting Commission, Crofting Commission, Fergus Ewing, Fergus Ewing MSP, feu dispositions, financial statements, Gearraidh Ghuirm, Ghearraidh Ghuirm, Grazings Committee, Grazings Constable, illegal grazings constable, Mangersta, Mangersta Common Grazings, Mangersta Common Grazings Committee, Scottish Government, shareholders in the common grazings, The Scottish Farmer, Unadopted Road Upgrade Scheme, Upper Coll, Upper Coll Common Grazings, Upper Coll Common Grazings Committee on September 4, 2016 by Brian Inkster. It isn’t just the Crofting Commission who can instruct crofting law advice! I have also written to the solicitor, Brian Inkster who was apparently engaged by the former Committee, to provide them with legal advice in their dispute with the Commission. Mr Inkster was paid £600 in fees from shareholders’ funds in April 2016. There is nothing in the 1993 Act which permits shareholders’ funds to be used in this way. In addition, there is no record in the Minutes of the decision to engage Mr Inkster, the brief involved or the paying of his invoice having been put to or approved by individual shareholders. Thus, the spending of shareholders’ money in this way, was outwith the power of the Committee at that time, meaning they acted outside of the law and the legal protection normally afforded. Such arbitrary decision-making is outside of the power of the Committee, where it commits spending and serves only to undermine the trust between Committee and shareholders. Nowhere in the Act, is it provided that shareholders’ money can legitimately be used to pay for legal services when a Grazings Committee is in dispute with any organisation, body or individual. For such to even be contemplated, I would consider it necessary for at least a unanimous vote by shareholders, to support the move. However, there is no indication in the Minute records of such a meeting, discussion or vote having taken place amongst shareholders. I consider it would be highly questionable, even under such circumstances, faced with the narrow terms of statutory responsibility held by Grazings Committees, that shareholders’ money, held for spending on maintenance or improvement of the common grazing, could legitimately be spent on legal advice from any solicitor. With acceptance of this point, comes the ethical question of receiving the money, fully understanding the source and yet presenting the cheque for payment, (as an expert in Crofting legislation), with specific knowledge of the restrictions under the Act. He then went on to ask me, in the circumstances, to send him a cheque for £600! In the absence of receiving such a cheque from me he wrote again this time seeking the payment once more and also asking me for copies of certain documents that he would be willing to pay me a fee to receive. A bit ironic surely that he can pay solicitors fees all of a sudden when supposedly representing shareholders who he claims cannot! I offer this additional and final opportunity for you to respond on the matters raised in the initial correspondence and that above, before deciding upon the necessity for further action, which if taken, may well afford the benefit of free publicity but with the detail being made public, may nevertheless impact adversely upon your professional standing. He concludes with the threat of raising a small-claims action against me presumably in the Sheriff Court. He questions the legality of grazings committees seeking and paying for legal advice. In our case, Inksters Solicitors, who are well versed in Crofting Law were asked by the Grazing Committee to investigate the legality of the Upper Coll shareholders having to distribute the money received from feu dispositions with such haste by the Crofting Commission. He was given a limit of up to £600 to do so. This was actioned prior to the Grazings Committee being put out of office. Inksters in their investigations were instrumental in the Crofting Commission performing a U-turn on their directive to Upper Coll (it was found that they were in fact acting outside the law!) and saving countless grazings a considerable amount of money! It is ironic that Mr Souter finds fault with Upper Coll shareholders employing a legal expert to successfully show the injustices of the Crofting Commission whilst he himself while acting for the Upper Coll shareholders (in his opinion!) seeks the counsel of a QC to enquire as to the legitimacy of the Upper Coll Grazings being VAT registered!! The constable seems unable to understand that in the spirit of openness and transparency over the years in Upper Coll, all meetings were advertised and open to all shareholders, that all decisions were taken by the majority of those attending and that all these decisions were minuted. He is also under the mistaken impression that the clerk took actions on his own initiative. That is untrue. The clerk’s actions were always as a result of decisions and actions approved by the majority of shareholders. If the clerk was at fault so were all those present at meetings who asked him to act on their behalf. The constable seems to place blame on successive committees, when in fact all actions were approved at open shareholder meetings. The clerk, unlike the constable, only took action after being instructed to do so by shareholders. Mr Souter clearly has no idea about what his role is and what he should be doing even if he was appointed legally as a grazings constable which he has not been. On one hand (according to him) shareholders cannot seek legal advice, but on the other hand he can take unilateral action on their behalf (and presumably at their cost) with no discussion or agreement from them whatsoever. He hasn’t a clue about the law and given that he thinks shareholders cannot seek legal advice under and in terms of the Crofters (Scotland) Act 1993 he will presumably not be able to seek such advice himself to assist in his deliberations. Having said that Mr Souter is apparently in receipt “of legal opinion from Queen’s Counsel” on whether Grazings Committees can register for VAT. It is not clear whether he, the Crofting Commission or some other party instructed this opinion. I will explore this specifically and in detail in future blog posts. He said shareholders are “well aware” from his reports that all scheme applications due were completed by agents acting on behalf of the grazings and “processed accordingly and no financial loss has been suffered”. A lawyer is simply an agent, no different surely from instructing any other agent to do work on your behalf that may be required? In any event a right for crofters to instruct lawyers does not need to be contained in tablets of stone within the Crofting Acts. It is a fundamental human right. Try the Magna Carta for starters. Shareholders in common grazings have been instructing lawyers to represent and provide them with advice in numerous matters over many years. Is Mr Souter really suggesting that all those lawyers need to repay fees received for work undertaken and advice given? Is Mr Souter really saying that shareholders could not have a lawyer representing them in an action brought against them in the Scottish Land Court? Does Mr Souter really think it is okay for the Crofting Commission to hire top QCs in their questionable battles against shareholders in common grazings but that those shareholders cannot be afforded access to lawyers themselves? The following guidance is intended to assist grazings committees with regard to the use of grazings regulations. The guidance does not constitute legal advice, and should not be construed as such. 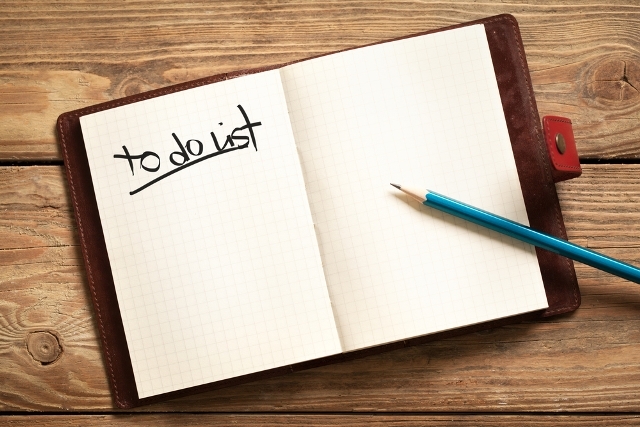 Should a grazings committee and/or shareholder require legal advice on a matter concerning common grazings, independent legal advice should be sought from a suitably qualified solicitor. So even Mr Souter’s masters, who are not often commended for a common sense approach to matters, acknowledge and accept that shareholders can and should seek their own independent legal advice. Should Mr Souter carry out his threat and raise court action against my law firm I will have no difficulty in defending it and calling the Crofting Commission in as a party to it. There will be a counterclaim for the time, inconvenience and costs caused to me unnecessarily by Mr Souter. I do not recognise Mr Souter as having any legal standing or authority. His appointment was illegal and even the Crofting Commission knew this to be the case when making it. Accordingly, I will not be replying directly to his letters. 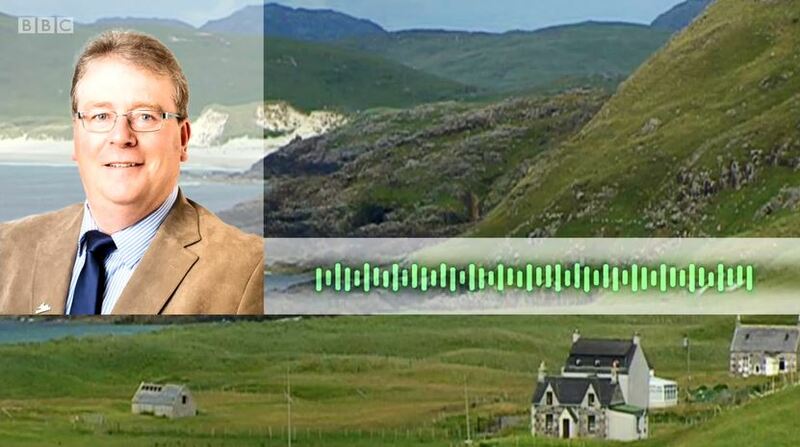 Instead I will be writing to the Cabinet Secretary for the Rural Economy and Connectivity, Fergus Ewing MSP, who has responsibility for crofting. I will, out of courtesy, copy my letter to Mr Souter. I will be expressing my concerns to Mr Ewing about this illegal ‘constable’ being allowed to wreak havoc by the Crofting Commission. 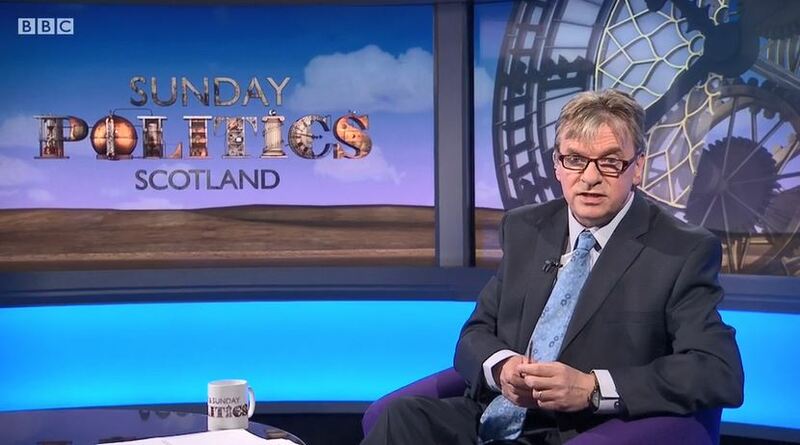 Mr Ewing has already had to rein in Convener Colin Kennedy. Now it is time for him to rein in another Colin. This entry was posted in Common Grazings, Crofting Commission and tagged Brian Inkster, Cabinet Secretary for the Rural Economy and Connectivity, Colin Kennedy, Colin Souter, Common Grazings Regulations Guidance, common grazings shareholders, Convener of Crofting Commission, Crofters (Scotland) Act 1993, Crofting Commission, crofting law, Fergus Ewing, Fergus Ewing MSP, feu dispositions, Grazings Constable, human right, illegal grazings constable, Inksters, Inksters Solicitors, Magna Carta, QC, Queen's Counsel, Scottish Land Court, shareholders in the common grazings, small-claims action, The Scottish Farmer, Upper Coll, Upper Coll Common Grazings, Upper Coll Common Grazings Committee, VAT, VAT registered on September 4, 2016 by Brian Inkster. 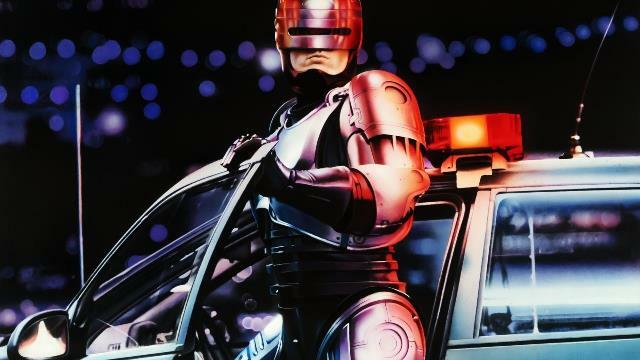 The new, badly programmed, Robotic Grazings Cop introduced by the Crofting Commission unfortunately did not prove to be a gamechanger! This week’s front page headline in The Scottish Farmer is Grazings ‘gamechanger’. Colin Souter, the constable controversially appointed to replace the grazings committee at Upper Coll, on the Isle of Lewis, this week wrote to all its shareholders itemising examples of that committee’s “arbitrary decision making” on how shareholders money was spent. Quite the contrary is in fact the case. A proper analysis of the ‘findings’ of Colin Souter demonstrates his complete lack of understanding of (a) what the role of a legally appointed grazings constable is (he, of course, being illegally appointed); (b) crofting law; and (c) duties and responsibilities that a grazings constable has towards shareholders in the common grazings. It also, alarmingly, exposes the true relationship between Colin Souter and the Crofting Commission. More significantly it also exposes a new scandal to hit the Crofting Commission, namely (assuming that Colin Souter is not solely behind it) their attempt to deprive common grazings of finance by seeking to prevent them being VAT registered. This follows hot on the heels of revelations that the Convener of the Crofting Commission, Colin Kennedy, was seeking to prevent common grazings from receiving SRDP funding! This attempt by the Crofting Commission and/or their Convener to meddle once more in matters that have nothing to do with their role as a regulator and seek, in so doing, to deprive crofters of finance is the real story here. That is the story that should have made front page news in The Scottish Farmer had Gordon Davidson been tuned into the actual facts involved or had contacted myself or former committee members at Upper Coll for a truer picture. 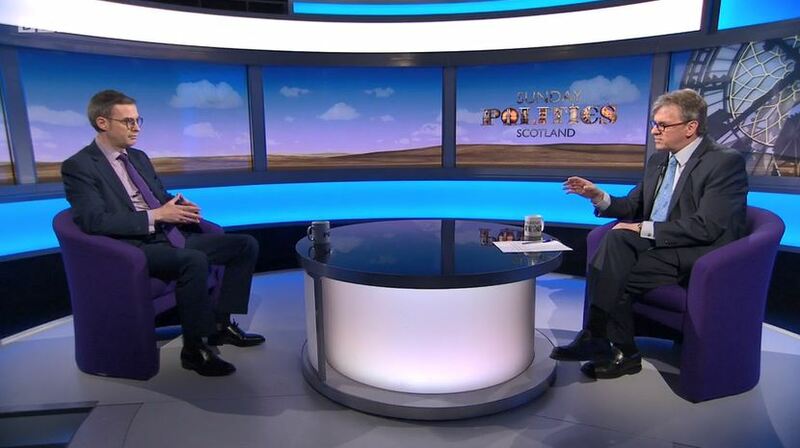 Instead he appeared to rely only on the word of Ivor Matheson (the aggrieved crofter who originally complained to the Crofting Commission) and the misguided ‘findings’ of an illegally appointed grazings ‘constable’. In subsequent posts on this blog I will consider some of the more salient ‘findings’ by Colin Souter and expose them for what they really are. I will also look at the cosy relationship that Colin Souter appears to enjoy with the Crofting Commission and the real significance of what could easily be referred to as Crofting VATgate. Update – 4 September 2016: Crofters and Lawyers + The Wrong Grazings Committee! This entry was posted in Common Grazings, Crofting Commission and tagged Colin Kennedy, Colin Souter, Common Grazings, Common Grazings Committee, common grazings shareholders, Convener of Crofting Commission, crofters, Crofting Commission, Crofting VATgate, financial management, Gordon Davidson, Grazings gamechanger, illegal grazings constable, Ivor Matheson, Robotic Grazings Cop, shareholders in the common grazings, SRDP, SRDP funding, The Scottish Farmer, Upper Coll, Upper Coll Common Grazings, Upper Coll Common Grazings Committee, VAT, VAT registered, VATgate on September 3, 2016 by Brian Inkster.